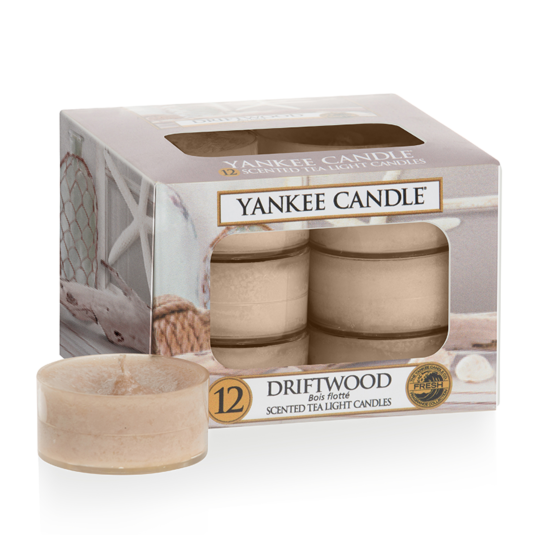 Take a stroll along a coastal path, waves crashing in the distance and the wind whistling through the wild grass, with this range of revitalising and fresh scents and this Driftwood Pack of 12 tealights from Yankee Candle, part of the Coastal Living range of fragrances. Like a salty favourite plucked from the beach sand, woody and sun weathered. Top notes water lily and sea salt mingle with middle notes of driftwood and eucalyptus, finishing with base notes of Tonka bean and crisp cedar. This Pack of tealights has a burn time between 4-6 hours each and reflects a cleansing and comforting sense of style that’s brings the coastline to your cosy home, be it in the bedroom, the bathroom, the living room, or anywhere else you see fit. A fabulous gift for a friend or a treat for yourself.